The season of festivities is here again. Hindu women across India, mostly in North are gearing up to celebrate Hariyali Teej. This year, Hariyali Teej will be celebrated on 13th August, 2018. The Indian festival is celebrated with much fervour by women of Rajasthan, Haryana, Uttar Pradesh, Madhya Pradesh and Bihar. The festival falls in the holy month of Shravana or Sawan. The entire month is dedicated to the holy union of Lord Shiva and Parvati. Married women gather together and pray for their married life and general well-being. On the day of Hariyali Teej, they also deck up beautifully in green sari and with green bangles, which is the significant colour of the festival. In some parts of India, they also get together and ride swings and listen to old folklores of Shiva and Parvati. Some women observe ritualistic fasts where they abstain from non-vegetarian foods. They eat simple fruit-laden diet. Once the fast is over, they indulge in some toothsome delicacies like ghewar, mathri and kachoris. The sumptuous feast that follows is a true-foodie’s dream come true. You saw this coming, didn’t you? What kaju katli is to Diwali, ghewar is to Teej. Ghevar is a round-shaped honey-comb like Rajasthani dessert dipped in sugar syrup. It is made in huge numbers during the festive season. You would find it across all major sweetmeat shops in your neighbourhood. You can make one at home too with this delicious malai ghewar recipe . The melt-in mouth malai and nutty topping is sure to leave you craving for more. Gujiyas are fried dough pockets that are filled with delicious filling of khoya, nuts and jaggery. They are usually associated with festive occasions like Holi, but they are one of the most lavishly prepared Teej delicacies too. The sweet dumpling is popular across the country under many different names; in Maharashtra it is referred to as Karanji. Mathri is usually one of the first foods that women break their Teej fast with. The crispy snack is a like a flaky biscuit or a tiny savoury cake made from flour, water, and a dash of cumin seeds. Here’s an easy recipe that you can try this occasion. A sweet bite-sized snack made of rice flour or maida. One can call them small maida and sugar ladoos too. These nibbles are topped with sesame seeds and are an absolute delight. 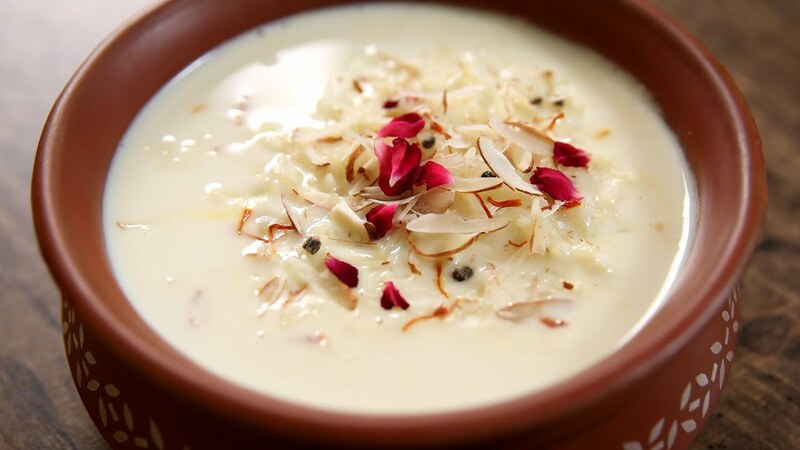 Kheer is a famous rice and milk pudding hailing from the Indian subcontinent. If you have grown up in any part of India, you must have seen how this delectable milk-based pudding makes its way through all the significant festive occasions, pujas, celebrations etc. ; Teej is no different. There are a multiple versions and preparations of the dessert across India, it is even known with different names. 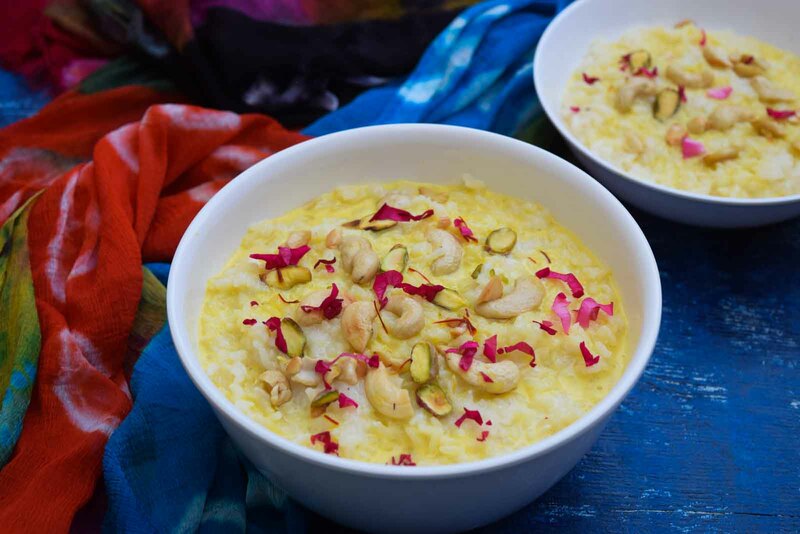 Kheer prepared for Teej is usually rice-based, but some even use vermicelli in place of rice. It is flavoured with cardamom, raisins, saffron, cashews, pistachios or almonds. Malpua is often dubbed as India’s oldest dessert. Malpua is a pancake-like sweet, which is made of rice flour in oodles of ghee and dipped in saffron-scented sugar syrup. Much like kheer, malpuas too have a distinct place in Hindu festivals, especially the ones celebrated up North, like Teej. With this delicious recipe you can make some in the comforts of your kitchen too. 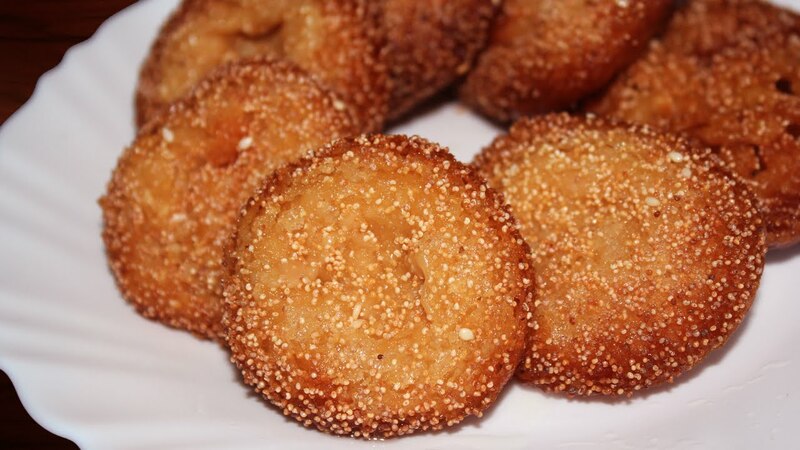 Hariyali Teej is the festival of monsoon, and what are monsoons without our fried food cravings. The dough pockets filled with delicious stuffing is rather easy-to-make. This moong dal samosa is sure to impress. 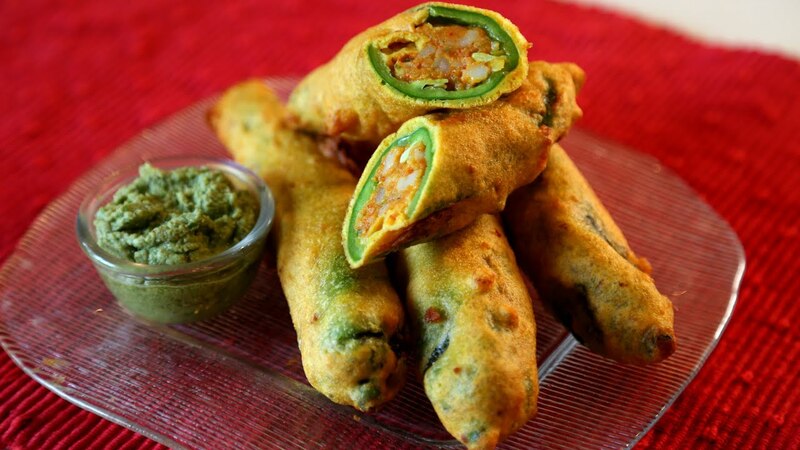 Crisp mirch pakodas stuffed with a potato filling is one of the most beloved Rajasthani delicacies. This crunchy snack is perfect for those who enjoy spicy food. Gatte refers to cooked gram flour dumplings, which are added to spicy curd-based gravy. The savoury dish goes best with piping hot rice and even rotis. Delicious gram flour dough deep-fried in ghee, served with dal. 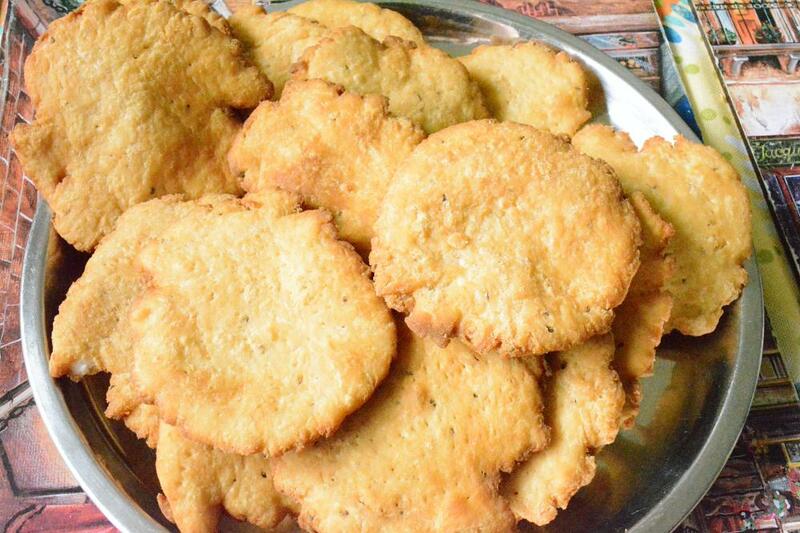 This simple Rajasthani delicacy has it all to be a show-stealer at any lunch/dinner party. 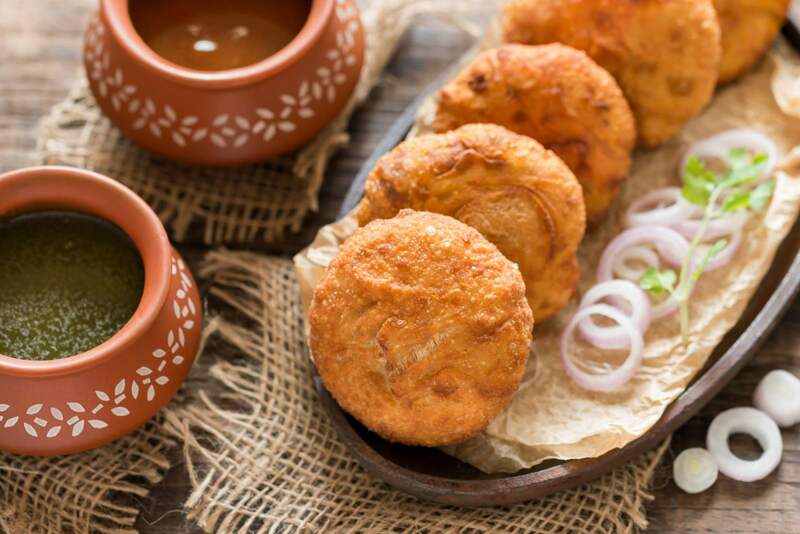 These round, fluffy kachoris, full of heart-melting masalas and golden brown onions are served with a combination of imly (tamarind) and coriander-mint chutney. Here’s wishing you all a very Happy Teej 2018!